They're Australia’s largest community for women with a growing following in North America too. They have events and activities across seven cities in Australia and three in the US, with past speakers including Nicole Kidman, Sir Richard Branson, Diane von Furstenberg, Sir Bob Geldof, Nigella Lawson, Jamie Olivier, Arianna Huffington, Rachel Zoe, and .....now .... Three Birds Renovations!! Whaaat!? WHAT EVENT DID WE SPEAK AT? We were invited to speak on stage for about 30mins at 9 to Thrive. It's an awesome expo which is spread over two days, and held in both Sydney and Melbourne. It's a fully immersive experience filled with amazing exhibitors, world-class speakers, the coolest activations and scrumptious food and wine. 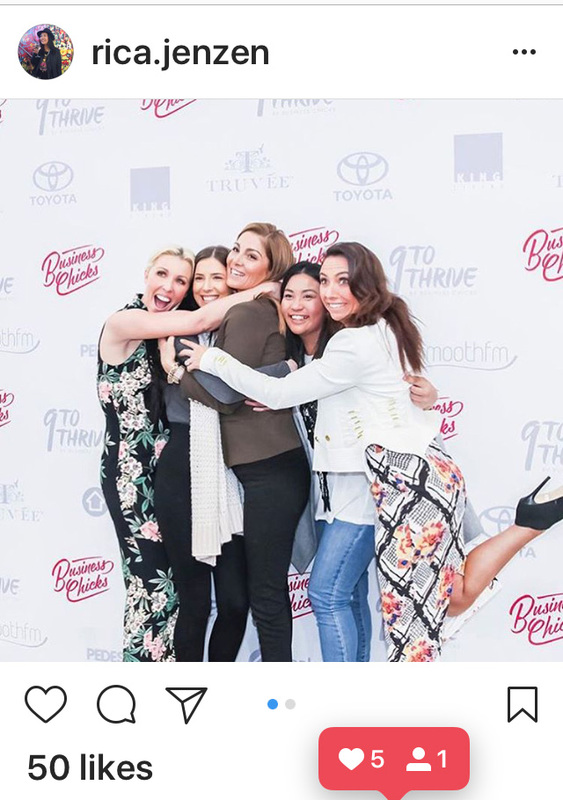 There was an inspiring line up this year with other speakers such as Lorna Jane Clarkson, Kayla Itsines, Tash Sefton & Elle Ferguson and Samantha Wills to name a few! WHAT QUESTIONS WERE WE ASKED? Our interview on stage was hosted by the effervescent Shelly Horton! She made us feel so relaxed (or maybe that was the glass of Rose?) and she seemed to know exactly what questions to ask... she even made Bonnie cry... TWICE! Q: HOW DID YOU COME UP WITH THE NAME THREE BIRDS RENOVATIONS? LANA: We brainstormed a whole bunch of names but none of them felt right. Erin suggested the super-catchy, unique name of The Renovation Company (cue eye roll;-) but when one of our male mates suggested Three Birds Renovations Bonnie and I knew straight away it was a winner. We held an intervention to convince Ez because she's not a fan of birds (the feathered type) so we had to reassure her that we weren't going to get a real bird as our company mascot! We hugged it out and have never looked back. Q: IS A WORK/LIFE BALANCE IMPORTANT TO YOU? LANA: It's important to all of us but our needs are a bit different. I love having the flexibility to do the school drops offs and pickups but otherwise am happy. ERIN: It's top of my priority list to have some "me-time" but it's hard to find in this job as there's always so much going on. I try to keep my commitment to our weekly yoga class in our office - I love it. Q: CAN YOU SHARE ONE OF YOUR FAILURES? BON: I think our biggest failure would have to be our first attempt to hire staff. We put Lana in charge of hiring a "Content Producer" and the girl she hired quit after 4 days! LANA: She quit because she spent 4 days with Bonnie ... whilst she was shopping for tiles - it mustn't have been a great experience ;-) No in all seriousness, I don't think we've had any failures. My definition of failure is not having a go. Mistakes and things not working are not failures in my eyes. Failure is being too afraid to try. BON: I think for me I feel like I've already made it and I never would have imagined I'd be on a stage like this, with my best friends and talking with you Shelley. LANA: OMG Bonnie's crying - are you crying Erin? I'm not crying. Q: WHAT'S ONE PIECE OF ADVICE YOU COULD GIVE THE AUDIENCE? BON: Enjoy the journey - the high times and the low times. ERIN: Have confidence and believe in yourself. LANA: Don't die with the music in you! We loved meeting all the audience members afterwards for a photo and quick chat. 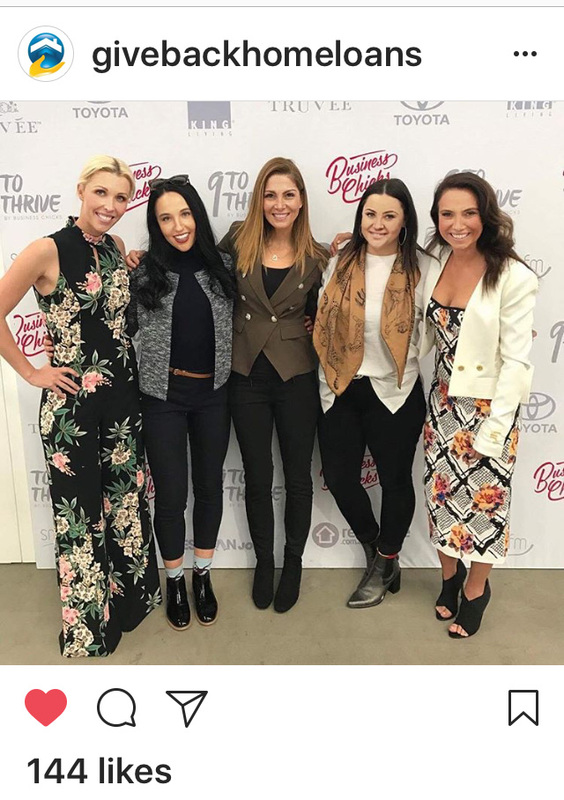 I tried to start and official Rose party for everyone but it never really got off the ground ;-) It was also awesome to see Kayla Itsines in the flesh. OMG she looked amazing!! Her skin was so shiny and so fit! Her thighs were the size of the my ankles. BONNIE: Dress from La Maison - Talula. ERIN: White top from Seed and black pants from Forever New. LANA: My fave white Bardot pants with Zara off the shoulder top. BONNIE: Manning Cartell dress with Sass & Bide jacket (WOW!). ERIN: Green jacket Luxe by StyleKeepers and the same black pants as she wore in Sydney (she's so practical ;-). LANA: Cue jumpsuit (anyone who knows me knows I luuurve a jumpsuit!). WHAT ELSE WE GOT UP TO WHILE IN MELBOURNE? We tried to squeeze in some shopping on Chapel Street but weren't feeling the buying vibes so Ubered (is that a word? it will be one day) over to Chadstone Shopping Centre. On the Friday night we caught up with the gorge girls, Amy and Sarah from TRES (the real estate stylist) at a divine Argentinian restaurant called San Telmo. The food was unbelievable and our fave dish was the Provoleta: fried cheese, dried oregano, dried chilli, pepper and lemon!! #friedcheese #outofthisworld. On the way down to Melbourne I read a few mags in the newsagency and did a bit of unsolicited visual merchandising for them. On the way home, we got to Melbourne airport 3 hours before our flight so devoured a few plates of nachos and de-glammed which included (un)gracefully removing our false eyelashes (and some skin ;-).